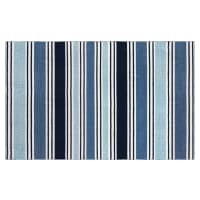 A blue rug is a popular choice for a living space, thanks to its calming effect. The tranquil colours can help define your living space by demarcating seating areas or separating the room into clear zones. 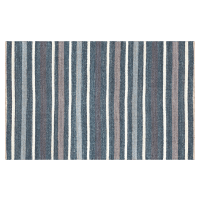 Our range of blue rugs at Brosa include a variety of shades, textures, patterns, sizes, and more. You can choose from bold navy blues or more muted pastels and slate greys. We have monotonal rugs as well as contrasting colours. When it comes to patterns, you’re spoilt for choice. 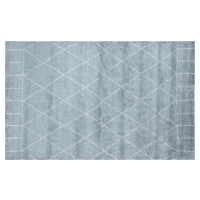 From geometric, diamond, or checkered patterns to classic Persian patterns, you’ll easily find something to match your existing room decor. 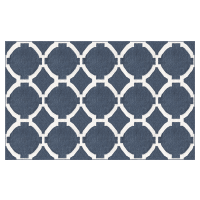 Mix and match your rug to various other elements in your room, whether you have blue sofas or you’ve got bold pops of blue in your homewares. 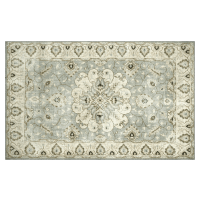 Your rug is guaranteed to last more than 20 years, thanks to the superior quality of its build. 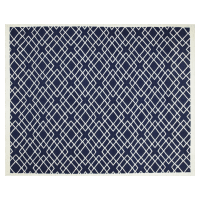 Not only are our rugs made from the best wool, cotton, and other fabrics. They’re also designed and made by a team of generational artisans whose craftsmanship has been learned from centuries of industry. 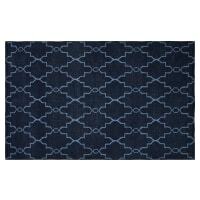 Browse our complete selection of designer blue rugs online at Brosa today.